Which hand should we read? In the literature much has been said about which hand should be taken as the basis for a reading. The most recent trend is to take BOTH hands into consideration. But various trends have been noticed in history - usually based on cultural perceptions. Let's take a look at some specific aspects of the various trends. And... what's your opinion? right hand for men, left hand for women. "I believe that those Eastern methods that look only to the righ hand for male clients and the left hand for females are totally inadequate and sexist, and often are value based against the left hand." So, regarding men and women the 'right' vs. 'left' approach is solely based on culture. While modern science has learned us that there are no 'mirror' differences between men and women at all! Another confirming fact is that in far most regions of the world more males are identified as 'left-handed'. So, Ed is probably right in his conclusion that this classic approach is probably only based on cultural value. Left hand for men, right hand for women. Few people are aware of this model (it has also not been mentioned in "The Encyclopedia of Palmistry"), but it's based on the ying yang philosophy. There is an old chinese expression saying: 'male is left, female is right'. Right hand in right handedness, left hand in left handedness. This model was probably developed in times when 'left handedness' was still sort of a mystery. 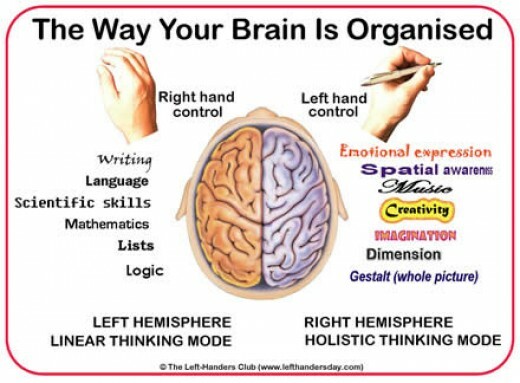 Yes, it's true that a large majority of people shows a tendency for using the right hand for many tasks - especially writing is considered as a typical indicator (in the perspective of writing about 7% to 10% of people is 'left handed'). But for example: writing with the right hand does not always correlate with hand preference for other fine motoric tasks, nor with: foot preference (cross preference can be noticed in about 5% of people), ear preference (cross preference: 17%), eye preference (cross preference: 20%), etc. The 'newer view' is that handedness is not a simple preference for one hand, because the two hands actually work together in more subtle ways. For example, when writing it is not a simple matter of one hand being dominant and writing on the paper. 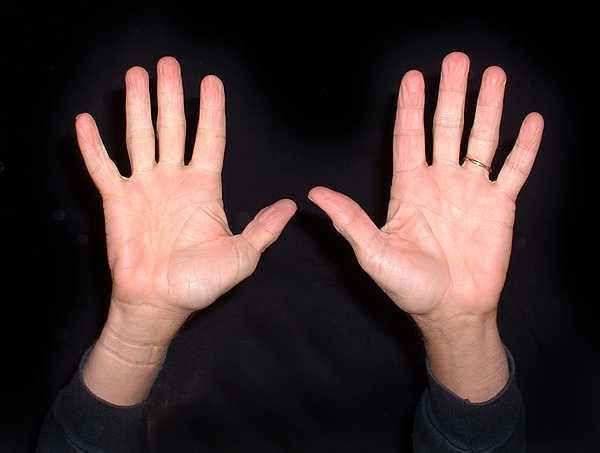 For a right-handed person, the left hand is involved in important ways: it orients and grips the paper and provides the context from which the right hand operates. Thus the right hand appears specialised for finer movements and the left for broader, contextual movements. So, based on this 'never view' one can conclude that the handedness model is based on rather naive perceptions about handedness. Logic is in your right hand, emotional expression is in your left hand. This model is based on the right hand - left brain hemisphere connection, and the left hand - right brain hemisphree connection. Well, the truth is... the model doesn't really exist in our brains! All typical functions included in the 'brain map' (such as the ones displayed in the picture below), are actually more or less related to both hemispheres - and one can also add that beyond the 2 hemispheres other brain parts are involved as well! For example, 'emotional expression' is not onlyrelated to the right hemisphere. For, emotion has been connected to a much large brain part: the LIMBIC SYSTEM - which includes the 'limbic cortex': that is found on the medial surface of each cerebral hemisphere. So, while the left vs. right brain map model has become very popular outside academic literature - you should really be aware it's a rather old mode:l it was designed in the 70's!!! But the details described by the model are not much more than a 'myth'; these hardly supported by what brain experts know about our brain functions today! Always study each of both hands! This model is based on the sensible assumption: when characteristics are present in both hands, then they are probably most significant. As described in the introduction, this model has become the most recent trend. But one should be aware that 'asymmetries' might indictate significant info regarding specific themes. ... YOU'RE WELCOME TO SHARE YOU IDEAS & OPINIONS!! Re: Which hand should we read? Right? Left? Or both? ... another model is the 'past vs. present model'. Traditional and predictive palmists of india are still following the rule left hand for females. They have philosophical explanations as well for this theory. On the other hand, such as diagnol swap of brain stem functions, as explained by modern palmists, are related to motor nervous system. So, That can be nothing to do with the prediction and spirituality. Hence, Those remain blind assumption of , so called "modern palmists". I have proved the theory , left hand for females, manytimes with examples when i was in piforum. This is the picture which can explain you the side affinity of hindu's philosophy in relation to the gender variations........! 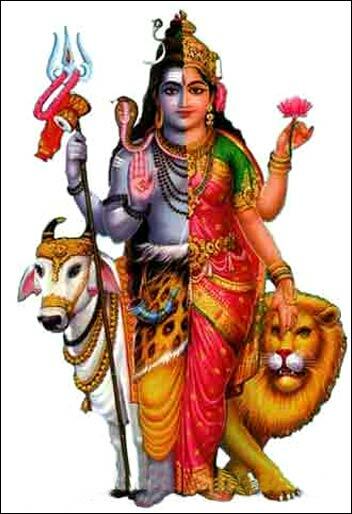 Right Half is lord.shiva and left-half is being consort of shiva, named shakthi. P.S: Second opinions are accepted if only you can provide either scientific proofs or spiritual theories or alternative theories. Hi Stalin, thank you for adding your opinion (and for honouring my request!). I know this is an old topic but this really is a revelation - and an interesting topic to raise some questions. I didn't knew there were so many different models for reading hands so this sort of has me guessing. The model I've been reading about is the handedness model (which I thought would be nice to start using - I've only recently picked up an interest in hand reading). When I started reading my first handreading book I assumed that reading the 'active' hand would suffice as a beginner. But after reading a number of topics and now this I'm confused. What if I were to read the heart line for example? Does it matter which hand I read it from? What if I were to read just the active hand? These are newbie questions I know; But I have to start somewhere right? Means if male is feminine then his left hand should be considered as strong one than his right hand and if female is working as man her right hand should be considered as stronger than left hand. Before about 324 year author has written this Shloka. At that time condition of Indian women was very pitiable at that time if any woman was getting some initiative to do something against code of conduct of that era. She considered as female like male and above shloka was written for her. But now a day 98 out 100 women are in condition mentioned by author hence it automatically proved to read the right hand of almost women even in India. If today if you find any feminine man, you are suggested to read his left hand as per shloka. There is interesting book i read on left hand and right hand chralotte wolf wherein she had mentioned that the concept of acitve and passive hand is not based on that but based on what part of brains emotions is dealt where right hand and left hand is based on. for example more primitive emotions it seems would be understood by reading your left hand and more higher value systems can be read from your dominant hand. also since brain is coonected to both hand it does matter to look at both hand to understand a better picture of the person because we are both hands to togther. It is just one part of the brain is more dominant than other due to some evolutuion reasons. Actually there was an interesting discussion on the forum of left hand right hand i think it is "left hand and right hand where is the answer"
more importance should be given to the dominant hand, right for right handed and left for left-handed. both hands are required for confirmation in some cases.